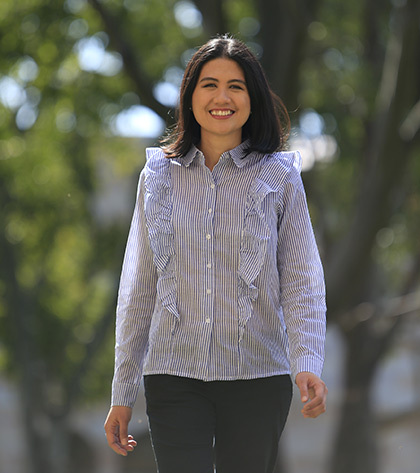 Dr. Jacquiline Romero was named one of the L’Oreal-UNESCO For Women in Science Australian Fellows for 2017. 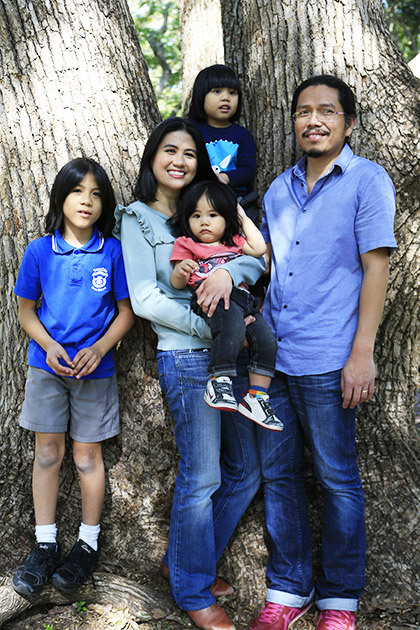 Dr. Jacquiline Romero, a Filipina quantum physicist at the University of Queensland in Australia, was recently named one of the L’Oreal-UNESCO For Women in Science Australian Fellows for 2017. This is not the first time Dr. Romero has made headlines: She made the news in 2015 when, as part of a team from the University of Glasgow in Scotland, she slowed down the speed of light. Impressed? Wait ‘til you hear that she does all these while being a loving wife and doting mom to three young kids. Now, Dr. Romero takes us through her journey in physics—from discovering a love for the subject in high school to becoming the esteemed scientist she is today—and by her example, proves that women CAN. I am a physicist; experimental quantum physics is my field. I investigate the weird rules of quantum physics using particles of light called photons. Photons have many different properties, and I am most interested in their shape—think doughnut-shaped, petal-shaped, etc. These different shapes can be used to encode information. If it is information in the quantum regime, it becomes really interesting because it can lead to infallibly secure communication and more powerful computation. Tell us about your career journey, from how you got started in physics to how you bagged the L’Oreal-UNESCO fellowship this year. Winning the fellowship is not really something that I have written as a goal; it is an achievement built on many other achievements. I began to love physics from a very young age; I’ve wanted to be a physicist since I was 15 years old. I went to the Philippine Science High School where we were offered all the sciences, and I enjoyed physics the most. I knew that I was good at physics—I competed in the Philippine Physics Olympiad (PPO), and later on trained for the International Physics Olympiad (IPhO). I did not win in the PPO, nor did I get sent for the IPhO, but the training was enough for me to realize that I could spend whole days doing physics! I was particularly interested in quantum physics because it is so counterintuitive to the point that it challenges your philosophical beliefs, and yet offers so much technological potential, too. Becoming a quantum physicist was not straightforward for me, mostly because there was no experimental quantum physics research program in the Philippines when I was still a student. Nevertheless, I had a great time working towards my bachelor’s and master’s degrees in UP Diliman. Research starts early at UP Diliman’s National Institute of Physics; I have been affiliated with a research group since my third year of undergraduate studies. Although I was not working on quantum physics then, it offered me good training to become a successful researcher, and it definitely gave me tenacity. While in UP, I worked mainly in the field of optics. My master’s thesis was on manipulating the shape of light for microscopy and microfabrication using a device called a spatial light modulator (SLM), a programmable array of liquid crystals that encodes phase. I got into the quantum physics field by realizing that the SLMs—which are widely used for controlling bright light—can also be used for single photons. Bright light, after all, is just many, many photons. I looked around research literature and found a group in the University of Glasgow in Scotland that just started to use SLMs on single photons. I sent the professor heading the group an email. The professor replied, and with his help, I won a scholarship to do a PhD at the University of Glasgow. Winning was made easier by the fact that I had already published a paper as a master’s student. Before going to Glasgow, I also did a short stint at the Australian National University, where I met a lot of other quantum physics researchers. It is a connection that I found really useful now that I am in Australia. I spent seven years in Glasgow, and I had a fantastic and productive time! We introduced SLMs to quantum optics experiments, we published some good papers, and most importantly, the technique was adopted by other leading groups in the world. I have seen firsthand how our approach has extended capability to explore higher-dimensional quantum information, and it makes me really proud! I came to Australia in 2015; shortly after, I won a Discovery Early Career Research Award which is given to the most promising early-career researchers. I am currently in the second year of that fellowship. Were there any struggles you encountered throughout your journey in your field which made you think women—or a Filipina woman in particular—were not on equal footing as men? The first difficulty I encountered was not connected to my gender at all, but on the general lack of knowledge about the educational system of the Philippines. I tried to get research positions for my master’s so that I could start on quantum physics early on, but the usual response that I got is that my degree is not equivalent. It was easier after I got my master’s as responses were more favorable, but getting a scholarship as an international student is very competitive! I am glad I eventually got one. I didn’t really worry about my gender until I got pregnant with my first child while doing my PhD. An academic told me, “I hope you have more papers than babies.” It was a joke, but one I will never forget. It just shows the implicit assumption that babies and science don’t go together. I have been extremely lucky to have mentors who were incredibly supportive and genuinely concerned about my career. They really made sure that I would not do less—for my PhD alone I have 11 publications, five of which I was either the lead or senior author, and that makes me very proud! I hope more women in a similar situation will find the same positive experience that I had. What are you like as a woman, as a wife, and as a mom? I really am not that reflective! I think if you ask my friends though, they would say that Jacq is always giggling! I think I am resilient, focused, and I hate being bored—these are all good characteristics for a scientist. I am a loving and supportive wife and mother. My husband is also a physicist; we support each other. It’s actually great now that we work in the same university; we can have lunch dates more often! Like any other mother, I love my kids to pieces. I enjoy watching them grow and observing closely how they figure out the rules of the world. It is quite fascinating how they quickly learn those very early years. We really all started out as scientists! How do you juggle being a wife and mom with excelling in your field? I am where I am. I really try to be present—that is important for productivity and happiness. That’s why it is very important to have good childcare near the workplace. I am able to go to work not worrying about my kids; I can focus on my work. Similarly, I don’t do any work at home until the kids are sleeping. They grow up so quickly—it’s important to be part of that process. What misconceptions about women do you hope to debunk with your success? That mothers cannot succeed in science. What are lessons you hope Pinay readers will walk away with after reading this? One, women do not have to choose between career and family—they can have both. Two, no matter how much you achieve, there is always something that has to be done. That is how you build on success. Three, having good mentors and a husband who really does the fair share of household chores and childcare are of utmost importance in order to have a successful career.